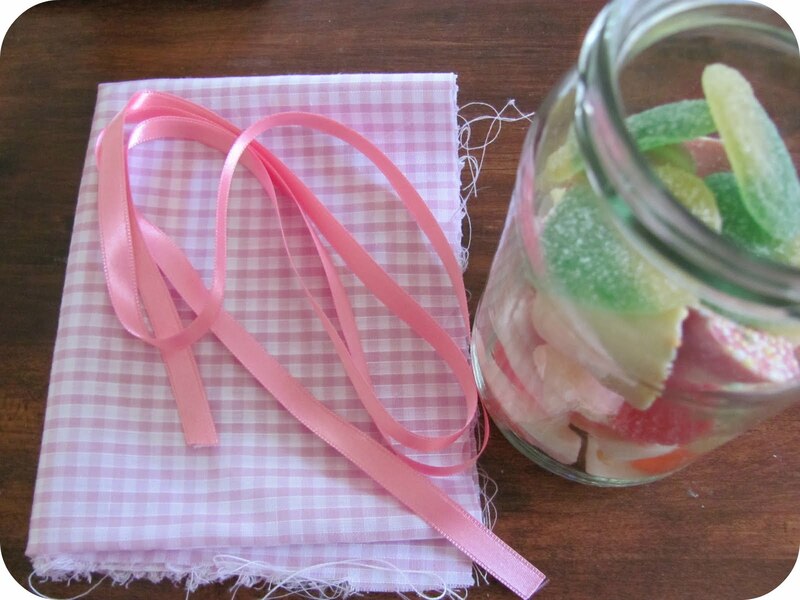 diy: sweet jar | S J M W E L L - Fashion, Beauty & Lifestyle blog. As a child, well young girl in Brownies i remember singing "who stole the cookie from the cookie jar..." game when we camped, something i always loved. Except for today we're changing cookies to sweet's! 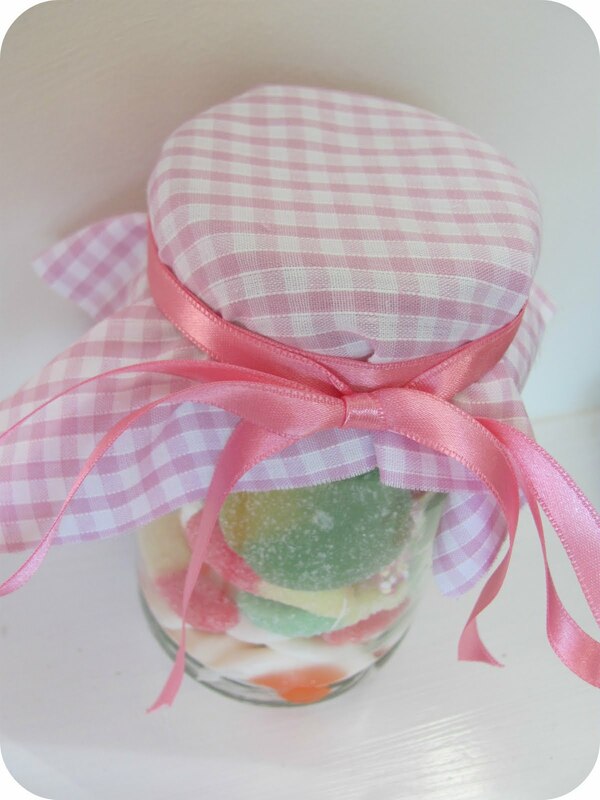 you can use any jar shape, size or colour you wish, i'm using a cleaned out jam jar. I've taken off the label and the sticky glue residue. layer your chosen sweet's in the jar anyway you like, i've alternated mine with gummy, fizzy, chocolate, fizzy sweet's. However they will all fill into place! fabric, i popped in my local haberdashery and looked in the "scrap box" it's discarded fabric which is still in good condition it's just small pieces they can't put on the shelf. i found this preety gingham style fabric straight away and thought it would go perfectly. I also brought a metre of ribbon, all together it was 48p. Sometimes they let you have it for pennies because it's just scrap though, i have a few time's! after measuring, i cut out an equal square shape but folder over the fabric to make it thicker. cut any fraying sides so it's all neat. 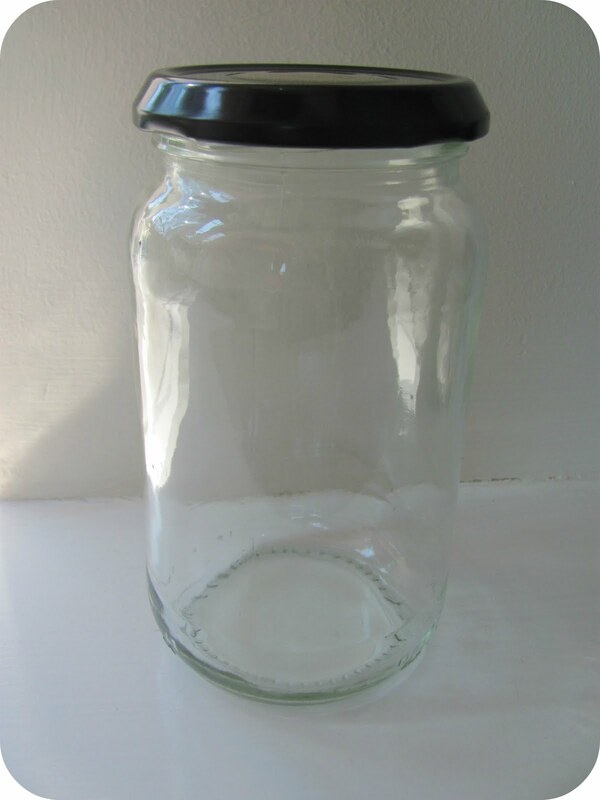 stretch over the top of the jar (you may need someone to hold it tight) make sure it's near enough directly in the middle so it looks equal at all sides. Tie a thin elastic band around it. Then lastly tie round ribbon, i entwined mine round twice then finished by making a bow at the front. for effect i then cut the end's neat and shorter on an edge to make it look prettier. i was inspired by the way people use this way with actual jam lid's but wanted a twist on it, instead of jam... sweets! This is such a great idea! I love it! 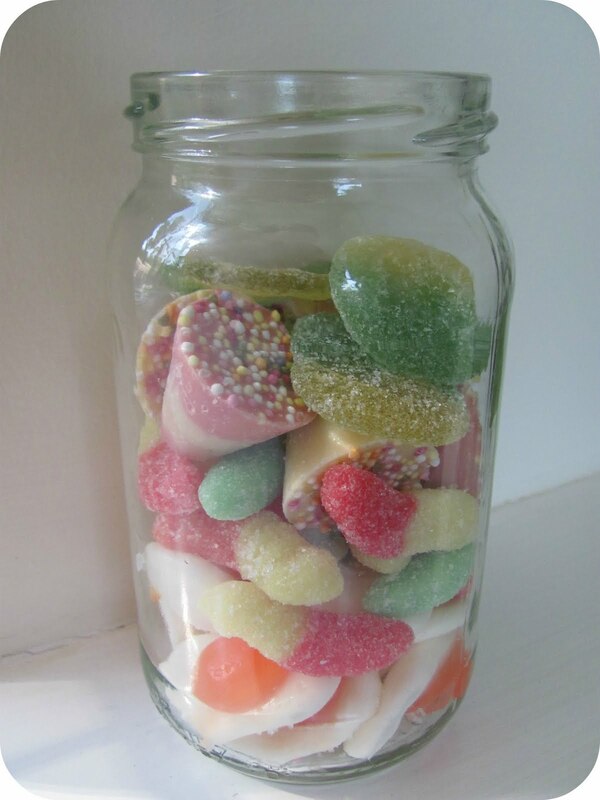 I may have to do this to brighten up my kitchen! I would love for you to come and check out my blog! SparksandFireworks.blogspot.com! --CLOSED-- the small 100 giveaway!